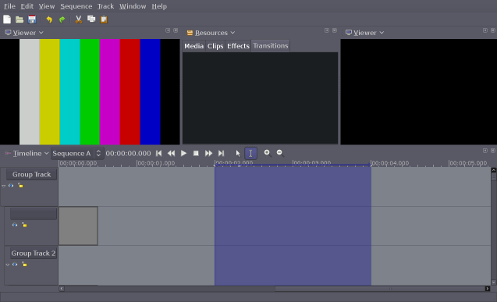 To create, as a community, a non-linear video editing and compositing FLOSS application for Linux/Unix/Posix Operating Systems, suitable for professional and quality oriented work, building on common open source video, sound and GUI toolkits and libraries, providing flexibility and a high degree of configurability and full control of all parameters, but at the same time a smooth workflow which scales well to larger and more complicated editing projects. but developed later into an independent project with its own name. The application is still in an pre-alpha state and not usable for normal work. Our annual report on the progress of Lumiera lists a number of elements contributing to project increment and the general status of the project. The reference platform for Lumiera has been upgraded to Debian/Jessie. And the Language level has been raised to C++14. As usal, Lumiera core developers will meet at and after the FrOSCon conference. The existing Lumiera user interface has been switched to GTK-3. the Lumiera core developers will visit the LAC Linux Audio Conference in Karlsruhe/Germany. As we did some years ago at Utrecht, we’ll help again with the Video streaming. And of course we’ll use the opportunity for a in-person developer meeting.